Quantum computers are making all the headlines these days, but quantum communication technology may actually be closer to practical implementation. In a bid to hasten its arrival, researchers have now mapped out the path to a quantum internet. The building blocks for these emerging technologies are more or less the same. They both use qubits to encode information—the quantum equivalent to computer bits that can simultaneously be both 1 and 0 thanks to the phenomena of superposition. And they both rely on entanglement to inextricably link the quantum states of these qubits so that acting on one affects the other. But while building quantum computers capable of outperforming conventional ones on useful problems will require very large networks of qubits, you only need a handful to build useful communication networks. And we’re already well on the way. In a review article in Science, researchers from the University of Delft in the Netherlands outlined six phases of development towards a global network of quantum-connected quantum computers and point out that we’re already on the bottom rung of that ladder. The main advantages of a quantum communication network over a conventional one are speed and security. Entanglement makes it possible to communicate instantly across arbitrarily large distances in principle. No matter how far apart you put two entangled qubits, acting on one will have an instant and measurable impact on the other. It’s also essentially impossible to eavesdrop on a quantum conversation. Under quantum mechanics, if you read the quantum state of an object it changes that quantum state, which means the act of intercepting any message encoded in quantum states will immediately change the content of the message. But the same property that makes quantum communication intrinsically secure also poses a major challenge. It means qubits can’t be copied or amplified, two essential ingredients of classical communication systems. 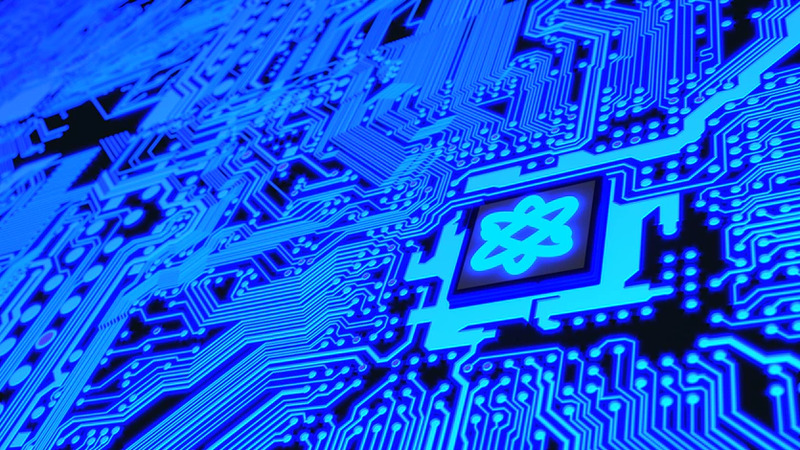 Nonetheless, working quantum “trusted repeater networks” are already in operation, which the researchers identify as the first step on the way to a full quantum internet. These networks feature nodes that can encode and decode qubits, which are then sent across optical cables or potentially beamed down from space by a satellite. But because quantum signals degrade the further they travel, it’s necessary to pass messages from node to node to cover longer distances. Each of these handovers is secure, but if two distant nodes need to communicate, then all the nodes in between know the content of the message, and so must be trusted if the message is to remain secure. To reach the next stage we will need to develop reliable quantum repeaters, the researchers said. This is a device that is able to establish entangled qubits with each node and then rely on quantum teleportation to effectively swap entanglements around so that the two nodes are entangled. A network connected by these kinds of repeaters would allow any node to securely communicate with any other without having to trust any of the intermediaries. At both these stages, the principle use would be quantum key distribution, which allows two nodes to securely share an encryption key in a way that can’t be eavesdropped on, which can then be used to decode encrypted messages sent via conventional communication channels. The process of entangling distant qubits is hit and miss at the minute, though, so the next stage will be to create a network that’s able to create entanglements on demand. The main advantage of this kind of “entanglement distribution network” is that it will make the network device-independent, according to the researchers. After that, the development of quantum memory will allow much more complicated communication protocols that require quantum information to be stored while further communication goes on. This is a major challenge, though, because quantum states rapidly degrade through a process called decoherence. Most technology proposals only hold their states for seconds or fractions of a second, which poses problems for a network whose communication times are longer than that. Ultimately, the goal is to create a network of fully–connected quantum computers. The first phase of that will be a “few-qubit fault-tolerant network,” in which the quantum computers at each node will not yet be large enough to out-do standard computers. Nonetheless, the fact that they incorporate fault tolerance will mean they will carry out relatively complex computation and store quantum data for significant amounts of time. And the final stage will come when these quantum computers finally surpass their conventional cousins, making it possible to create distributed networks of computers capable of carrying out calculations that were previously impossible, and instantly and securely share them around the world. The authors noted that there’s a long road ahead. We need better ways of encoding, storing, and transmitting quantum information, and perhaps even more importantly, we need to build quantum equivalents of our internet communication protocols, something almost entirely lacking today. But they’re bullish that the first multinode quantum networks will be appearing in the next few years, which will make it possible to test all these ideas and hopefully turbocharge development of a true quantum internet.